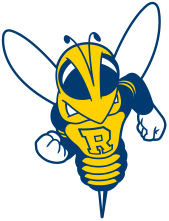 OVERVIEW: Participants will experience a full day in a collegiate training environment, college recruiting talk, campus tour, and the opportunity to work with the University of Rochester coaching staff. Enrollment is open to current high school age players. Lunch is included with the clinic. ​Space is limited, so register early! OVERVIEW: Participants will enjoy two college level training sessions, collegiate athletics Q&A session, campus tour, and the opportunity to work with the UR coaching staff. Enrollment is open to current high school age players. Lunch is included with the clinic. Training session #1 will focus on technical fundamentals necessary to execute team tactical principles. Training session #2 is founded in competitive game play.